I recently joined in Baking Partners group .This is a small group of home baker friends joined to learn the techniques of baking and to try out new baking recipes. Every month 16th will share a new recipe; every blogger should blog about that on 15thof every month. This is my first month posting recipe for Baking Partners group. 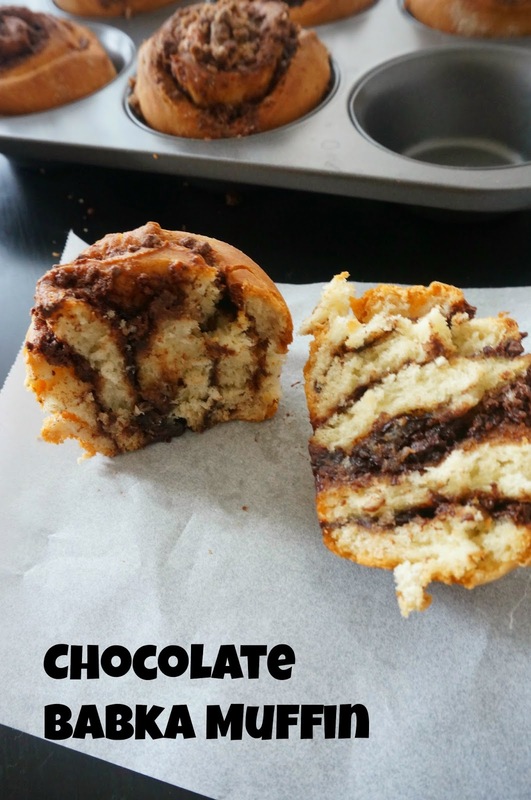 Suggested 2 recipes for this month one is carrot cake and another one is this chocolate babka muffin.I selected this delicious babka since it has chocolate in it Even though I got the recipe on earlier, I prepared today only.These babkas very soft and delicious.I really enjoyed this challenge. In a large bowl, mix together milk, sugar and yeast. Add egg and beat well. Now add salt and flour and form slightly sticky dough. Add butter and knead well into a elastic dough. Butter a large bowl, keep the dough inside and cover with wet kitchen towel. Set it aside until it doubles in volume for 1-2 hour. · When the dough is double in volume, keep in clean work area and pouch down to remove air. 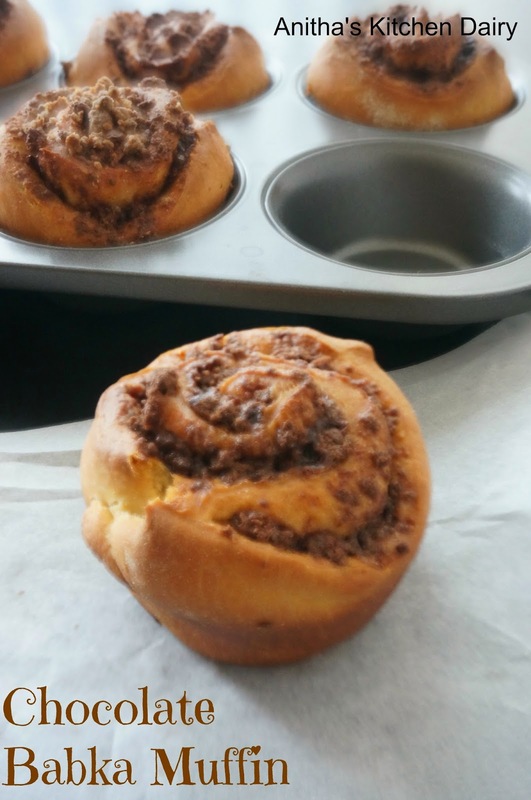 · Apply butter on the rolled out dough and spread the filling evenly. · Roll the dough into tight log. · Cut the dough into 12 equal parts. · Place each piece into a prepared muffin tray. · Cover it with kitchen towel and set aside for 30 minutes. · Preheat oven for 350 degree. · After 30 minutes, Bake it for 10 -15 minutes or until edge become golden brown. Cool it on wire rack .Delicious babkas ready to serve.